Lombok Speed Boat departs each two hours daily. Since Gili Islands (Gili Trawangan, Gili Meno and Gili Air) have been becoming the main tourist destination in Lombok, the needs of fast boats were growing. Lombok Speed Boat departs from Lombok to Gili Islands for 15 minutes sailing only. Choosing Lombok Speed Boat to visit Gili Islands during your vacation in Lombok is the best option. The service starts from Lombok Airport, located in South Lombok, and driving for 2 hours to the Teluk Kodek port. From Teluk Kodek, tourists will be transferred to Gili Islands for 30 minutes far. 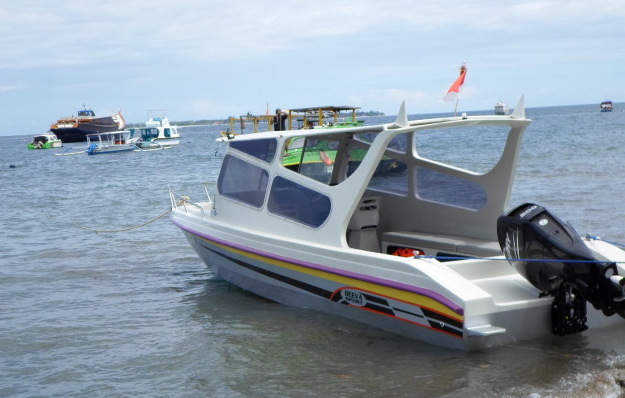 Lombok Speed Boat provides a simple online booking. It offers instant confirmation in eTicket in some steps. Complete step by step the online booking, do payment and get electronic ticket either for fast boat or private yatch charter. If you stay in Lombok area, don’t forget to write your hotel name down to detail address and you will be picked up from there. It’s a simple way to book your trip to Gili Islands and back.